Why is that? Why should we do that? Here is the close relation between laughter and your health and I really want you to laugh and smile more and be happy and healthy at your home and in my office. What happens in your body and mood, When you laugh. Laughter reduces the level of stress hormones like cortisol, epinephrine (adrenaline), dopamine and growth hormone. It also increases the level of health-enhancing hormones like endorphins, and neurotransmitters. 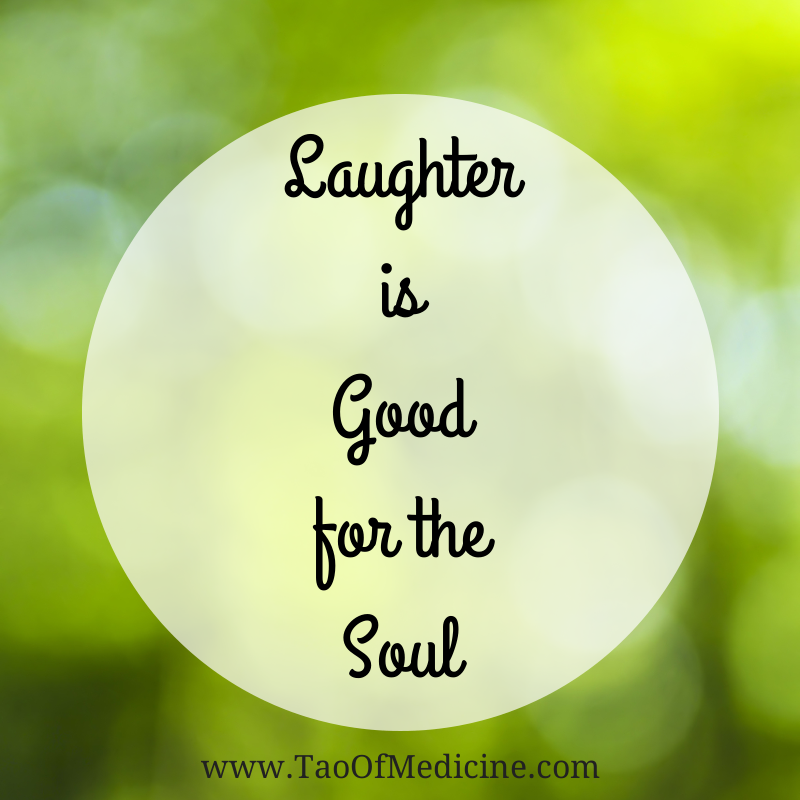 Laughter increases the number of antibody-producing cells and enhances the effectiveness of T cells. All this means a stronger immune system, as well as fewer physical effects of stress. A study shows humor and laughter is the best medicine for the heart. Laughter, along with an active sense of humor, may help protect you against a heart attack, according to a recent study by cardiologists at the University of Maryland Medical Center in Baltimore. The study, which is the first to indicate that laughter may help prevent heart disease, found that people with heart disease were 40 percent less likely to laugh in a variety of situations compared to people of the same age without heart disease. O.k. further more, let’s laugh out for 10 minutes! Could you finish 10 minutes? Yes, laughing need to move and work on the diaphragm, the abs and the shoulder and so on, and helps to release the tensions on the body and you really feel relaxed afterwards, I did this 20 minutes (this was a huge work-out.) and back then my 2 year old son followed me. Every parent knows how frequently your kids or babies laugh loud and smile and dance as if their energy doesn’t know the shortage or discharge. Then how about the grown-ups? As we grow old, should we look serious and worrisome? And does it make you feel better and your life any better? What happened to us then and now? It seems like we are getting old and forgetting how to laugh and smile, and probably just poker face or petrified facial muscle is developing. practice this hilarious mind exercise – actually physical exercise as well- makes me laugh, yes, the laughter is also contagious. ha ha ha ha ha …. Do you remember the movie Patch Adams? One comedian doctor and all serious looking doctors…I wish I could be funny like him. My conclusion today is : If you remember the benefit of laughter and like my story of it, let’s have some time today to laugh 10 minutes, how about 2 or 3 times? If it’s difficult, just fake it until you make it. Or tonight watch some comic books or comedies really funny ones since laughter is contagious, invite some friend. Afterwards you will feel a lot better, you will forget why you were so worried and tense and be less stressful – if you were stressful.